Your plan will also include forms for Design Review, Nonconformances, Inspections and more. Contact Us if you need help deciding which plan is right for you. 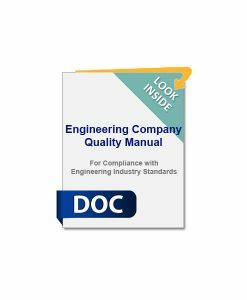 Choose either a Basic-Essentials, Comprehensive, or ISO 9001-level Quality Plan depending on your needs. 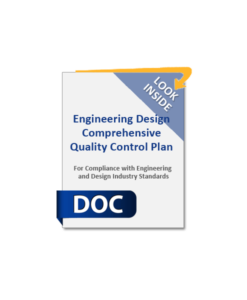 Our Engineering Quality Control Plans layout the policies and procedures for controlling the quality of your engineering and design services. To learn more, click on the product images below. Experts in quality control plan submittals are available by phone or email. Call us at 410-451-8006 with your questions before or after you purchase a plan. All of our products and services carry a 100% money-back guarantee. We make sure you get what you need to have your quality control plan submittal approved. See Money-Back Guarantee for more details.